Saint Clement (total area 5.39 km2) is the biggest island of the Paklinski otoci archipelago in Central Dalmatia, stretching off the south-western coast of Hvar. The archipelago is considered one of the most beautiful landscapes in the Croatian part of the Adriatic. As such, it was declared a protected natural property in 1968. The St. Clement island is observed as a single whole with natural, geographical and ecological features. A longue durée approach is employed in the study of the dynamics of its habitation, as well as the cultural identity of the island communities, from the earliest periods when humans first arrived on this island, through the time preceding the Greek colonization of the nearby islands of Hvar and Vis, to Roman interventions in the commercial and political circumstances in the Adriatic and, finally, during the Roman Empire and Late Antiquity. The research aims to focus on defining, understanding and promoting different aspects of the cultural and historical heritage of the St. Clement islands and the surrounding sea, as the main medium for the cultural contacts of the island. Stone cairns from the Bronze and Iron Ages bear witness to the prehistoric period. As regards Antiquity, two sites have been registered so far, the Soline cove and the Momića polja fields. The previous research concentrated on the Soline site, a naturally protected cove with favourable maritime features, situated on the southern side of the island, and on the preserved architectural remains of an antique economic complex. The importance of this site is reflected in its suitable position on a maritime route, and in the exploitation of natural conditions, such as a secure harbour and drinking water, from the longue durée perspective. 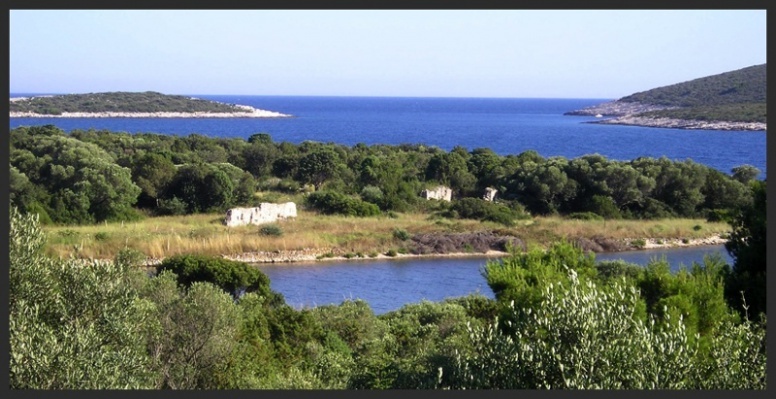 Grga Novak carried out small-scale investigations in the 1950s, and the area was documented as an antique site of the Hvar island during the Adriatic Islands Project (1997). In 2008, the Soline site acquired the status of a protected cultural property of the Republic of Croatia. As part of the scientific project “The Archaeological Topography of Croatia in Classical Antiquity”, managed by V. Begović, the Institute of Archaeology has participated in the research carried out at Soline since 2007, initially as part of a collaboration of Croatian and American scholars (Ivančica Schrunk, St. Thomas, St. Paul, SAD), while in 2011 the Institute, together with the Hvar Heritage Museum became the manager of the project. In addition to the mentioned scholars, other members of the research team include the staff of the Archaeological Museum in Split, the Archaeo/Community Foundation from California, the Karl-Franzes University from Graz, the German Archaeological Institute (RGK Frankfurt), the Technical University in Darmstadt and the Department of Archaeology of the University of Zadar. The emphasis in the research is laid on an interdisciplinary approach and a combination of non-invasive methods with archaeological corroborations of the obtained results. The works so far include a field survey of the broader area of the cove, a geodesic survey, geophysical investigation with archaeological probes; architectural, geological and geo-topographical diagnostic research, analysis of the statics of the visible architectural complex, underwater investigation in the wider area of the cove, and archaeometric analysis of a selection of the pottery assemblage. The research has resulted in the discovery of a part of the area of a Roman villa, which is dated, based on the finds, from the 1st to the 6th century AD, while the site of the maritime base itself is dated somewhat earlier, from the 2nd century AD. The material culture speaks in favour of the organization of an independent economic structure (agricultural products, salt) that took an active part in the creation of the local economy. On the other hand, ceramic finds, especially from the Roman period and Late Antiquity, bear witness to contemporary global trends in the flow of goods and the lively trading connections in the wider Mediterranean. Teichner, F., Ugarković, M., 2014, Zeugnisse einer römischen Villa maritima auf der Insel des Heiligen Clemens (Dalmatien), Germania. Anzeiger der Römisch-Germanischen Kommission des Deutschen Archäologischen Instituts 90/2012, Frankfurt. Begović, V., Schrunk, I, Ugarković,M. 2013, Roman villa in the Soline cove on the island of St. Clement near Hvar: Preliminary anaylisis of the architecture according to geophysical investigations and sondages, Prilozi Instituta za arheologiju 20/2012, 2013, 143-166.